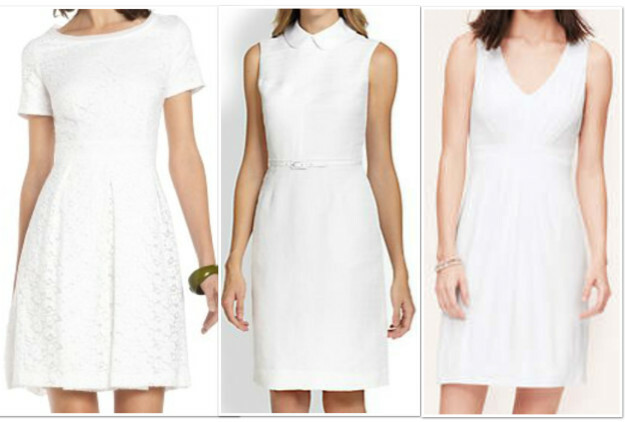 We are in the heat of summer and this is the time to temporarily replace your LBD with a crisp LWD. White is a super versatile neutral and provides a blank canvas to create your own look by switching up your accessories and how you style it. Sophisticated and chic, white always looks best with a tan, so make yourself an appointment for a spray tan if you need it unless you are skilled with the self-tanner at home. Beauty Tip: We love TanTowels – just wipe on and rub in to avoid streaks. The other important step to take in avoiding streaks is to exfoliate first in the shower (Malin + Goetz Peppermint Scrub is our fav). 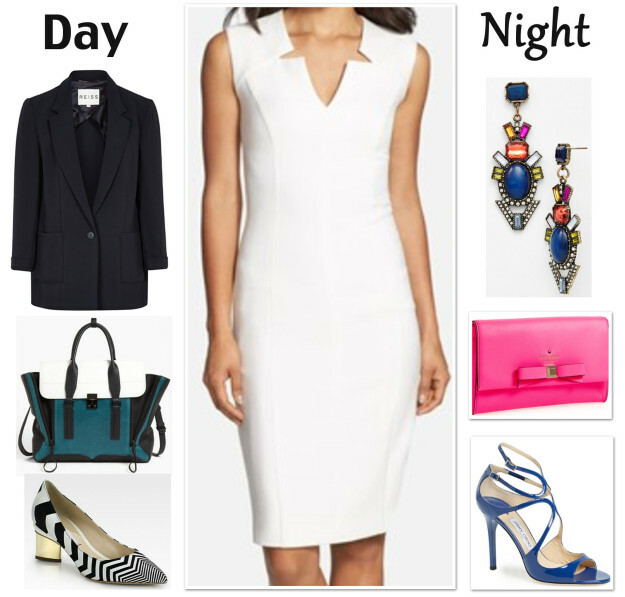 Here are our LWD finds in a range of styles and price points, and we show you how to re-style and take two from daytime to an evening out.